It might be the best videogame movie ever made. It might also have a lot of unfortunate implications. It's Mortal Kombat! Why must we mourn Art? Where did Christopher Lambert get his wig? Should Goro have gone out like that? This is a movie with a lot of questions. Let's enjoy! You know, guys. I still want the L'Raiden "I Don't Think So" shirt. @aristatide: I've listened to a lot more of these now. And this is still your best intro. If i remember correctly Goro, just like Kintaro in the games, is from the Dragon species. If you haven't made that shirt yet then please, please do! If you have made it then could I get a link to where I can buy it, please? Right, so this was the first SOD episode I listened to, and 1) where are those t-shirt dammit, 2) having listened to many more since I still think this was one of your best, and 3) I'd never written it out before, was being SODs intentional? I've listened to a lot of these now and I gotta say: this is your best intro. Jim's about to go all SJW again, isn't he? Does this show have the best intros ever or what? 'see this leather jacket? there is a story attached to it', was i the only one thinking of spike at this point? @user-921968754: Clue-in: These two nit-pick FOR comedic effect. @user-921968754: For reference: http://www.merriam-webster.com/dictionary/irony Now... think carefully on what you said about Jim's "self awareness" in contrast to your own regarding your interpretation of their dialog. Somewhere in a highly overpopulated country of undisclosed location the national head of the department of education decided that now is a good time to include violence, videogames and movies into the teacher's curriculum. 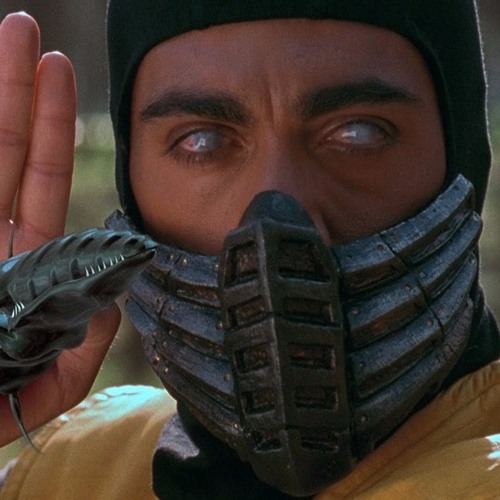 As a prime example or maybe by a random choice it was indeed Mortal Kombat which was picked and now every teacher had to watch as much internet material about it as possible. @user-921968754: Well, I can't say for certain, but your earlier comments suggest that you came in with some pre-conceived notions which might have colored your view on how seriously we were taking that part of the discussion. @jimquisition: Just saying it's ironic doesn't make it ironic. Just like saying the movie is racist doesn't make it so. Although, I could be entirely misrepresenting your position at this point because it has been ten days since my initial listen. @conradzimmerman: But there was no joke. How is it "comic effect" if there's no joke? I felt it was pretty clear you were nitpicking without humor in mind. Whoa ~800K listens sweet mother of god! @conradzimmerman: Aye, over-reaction is rather rampant; but that's always been a thing. Hence why I try to be specific first and make fun of it after. Plus it's largely a minority of people wouldn't get it and aren't part of nor should be members of the community following your and Jim's work. @user-921968754: Oh the irony of you commenting on my self awareness. Beowulf was so amazingly bad. a case for the movie boys! @michael-wolfe-36: They had thirty minutes to figure it out, at the very least. @conradzimmerman: With all due respect to yourself and Jim; when the standard is to nonchalantly make these points with no clear sign of comedic intent through sarcasm/satire/parody, then you have to realize there is a fallacy here expecting complete strangers who may have never seen either of your work to expect such things to be comedic extremes. My tactic is to make a clear literal stance and then add comedic flare. @user-921968754: This is why I shake my head when people shake their heads at him laughing and scoffing at people calling him an "SJW". We're both incredibly aware of it. While there is something to be said about a piece of art being occasionally culturally ignorant (the costume change for Sonya is stupid no matter how you slice it, imo), duh, of course we're going to an absurd extreme. It's like you haven't heard us nitpick every other aspect of these movies for attempted comic effect. Talk about lack of awareness. Jim, it's a moment characterizing two major players in this movie. The movie isn't making a statement about race relations, or what is right and wrong.